Last year RHL achieved over 23,000 attendances across 25 different projects and classes. For many attendees, our projects have had a huge impact on their quality of life. Physical Activity for Older Adults (PAOA) is one of RHL’s ongoing ‘core’ projects. Very highly valued by attendees, it offers exercise, social and peer support opportunities for those who would otherwise be unable to exercise. Over 370 participants currently attend our PAOA exercise classes each week and we achieved over 16,000 attendances last year within this project alone! The project currently delivers 20 weekly exercise and rehabilitation classes covering a variety of mediums including Cardiac Rehabilitation and Pulmonary Maintenance (for those affected by serious heart/lung illness), health circuit classes (suitable for those recovering from Cancer as well as those suffering a range of other illnesses), Steady and Strong (falls prevention), low impact and adapted versions of Pilates, as well as Seated Exercise and Seated Pilates (for those with physical impairments which prevent them from standing or using the floor to exercise). All classes are delivered in welcoming community-based accessible locations with no lycra and no dress codes. Our tutors are committed and engaging; many are specialists trained to support certain health conditions. However, PAOA is so much more than just an exercise project. We focus on creating a welcoming, friendly ‘club’ type atmosphere (with refreshments offered after many classes) to encourage social interaction and peer support; with participants coming together to support each other, make friends, ‘talk’, and share their problems, worries and solutions. This has led to notable improvements in mental well-being, increases in self-esteem and reductions in social exclusion, loneliness and isolation. Elsa was diagnosed with Multiple Sclerosis (MS) 18 years ago. Her mother had suffered the same condition, was in a wheelchair by 40 and had died from MS aged 50. Elsa expected to be in a wheelchair by the time she was 50. Elsa attends two classes each week (seated Pilates and Pilates). She recently told us “I turned 50 last month and I can still walk using a frame – there’s no way I could have done that without RHL!”. The doctors are amazed that she’s still able to walk and both she & her doctors believe that her RHL classes are the answer. Moreover, it is evident that it is not only her physical health which has benefited. She has clearly gained a support network and friends. As a result of her family history, 50 was a key milestone and, to celebrate, her Seated Pilates class threw a surprise party for her – she thought she was meeting a friend, but it was actually the whole class! Our staff have also noticed a difference; despite her low self-confidence Elsa recently agreed to attend a meeting to tell her story. "A year ago, I stayed at home a lot, but since finding out about this group I now come every week, learning English, exercises, feeling much more active and happier." Rushmoor has an exceptionally high Nepali population; many of whom are elderly and very disadvantaged. This has caused significant issues locally. 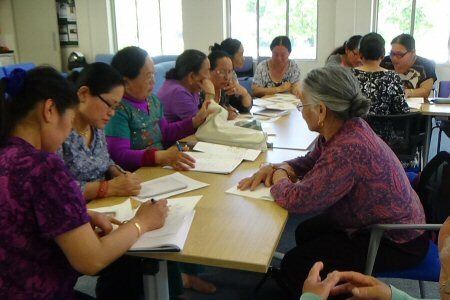 We have worked hard to understand this community and to become the ‘turn to’ organisation for Nepali engagement. We are trusted and held in high regard by the Nepali community, the leaders and the Nepali groups as we understand their barriers to participation and have built excellent relationships and established effective communication and engagement methods. 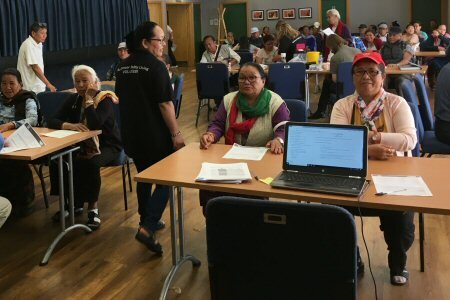 Our initial project was delivered in Rushmoor to address the issue that the Nepali population weren’t originally engaging with cancer and end of life services. As a result of our project, they are now engaging at the same rate as the British population! A huge achievement! Part of the project included recruiting and training 30 Volunteer Community Cancer Champions as well as setting up a Nepali Cancer Self-Help Group. This project was commissioned by Macmillan Cancer Support as a result of the ground-breaking success of our project in Rushmoor. It targets “non-responders”, BAME and seldom heard groups and has also proved a phenomenal success. It has changed the way people from seldom heard groups think about cancer and their general health. We have managed to engage with over 2,000 individuals, trained 25 volunteer community cancer champions, increased the take-up of screening programmes and reduced the rate of “non-responders” (ie those contacted for tests/screening who don’t respond or don’t take-up the tests/screening) as well as establishing a cancer self-help group whose membership comprises people from a range of multi-cultural backgrounds. The community engagement model we have developed can be replicated anywhere and for any condition. Working with NE Hants and Farnham CCG, RHL delivers a DESMOND designed diabetes programme to support newly diagnosed Nepalis with diabetes to manage their condition and stay healthy; encouraging behavioural changes that will improve quality of life while supporting the management of their illness. We recently trained 20 volunteer Diabetes Champions from the local community who can provide additional support and cascade information. 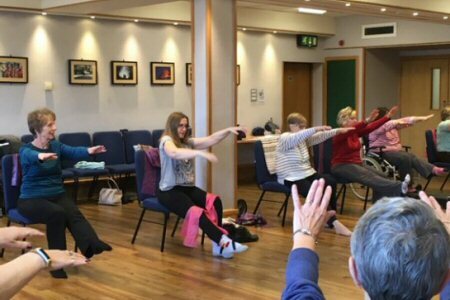 SEATED YOGA MODIFIED FOR WHEELCHAIR USERS - sessions encourage exercise and participation. Our project to deliver Health Checks is an exciting opportunity to identify and support local residents who are at risk of serious health issues. Over the last year we have engaged with 400 people and since the start of the project have tested circa 2,000 individuals. Our project takes Health Checks out into the community to reach those who would otherwise be unlikely to participate in the national programme and has successfully engaged a wide range of groups including Carers, Nepali residents and vulnerable Older Adults suffering health inequalities. It has been extremely well received and has potentially saved lives. Some attendees were unaware, until our checks, that they had extremely high blood pressure or cholesterol which needed an urgent visit to their GP. Others are now more aware of the implications of their obesity. We are proud to be the only local community organisation on the NHS-approved provider list.